· Frame stress: hard pressed extruded aluminum 6006/T6(15HW) which can last more than 10 years. Arcum tent is popular for all kinds of event and trade show, first bay spanx3/5m tent can be used for balcony walk. The rest is used for the lining. The roof can be extended out for the balcony. 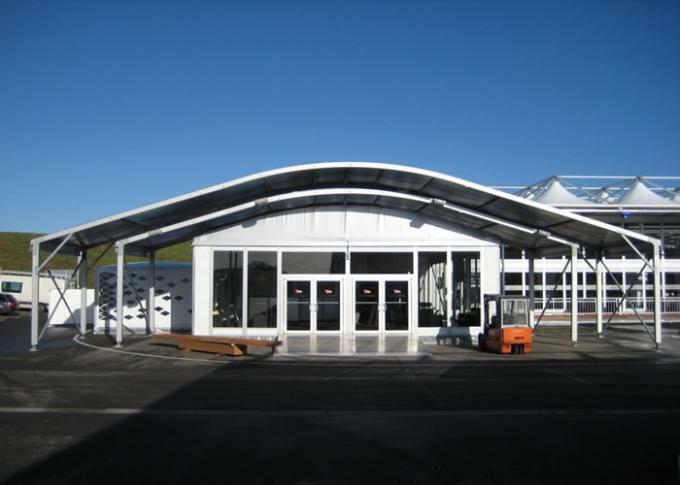 The 25m span arcum tent is made of 112x203x4mm aluminum alloy. The sidewall is made of glass walls and glass doors. You can see outer view when you are in side. The lining and curtains can be used for decorating the roof and sidewalls. Lining and curtains color is optional. The glass door is about 2.4x2.5m. 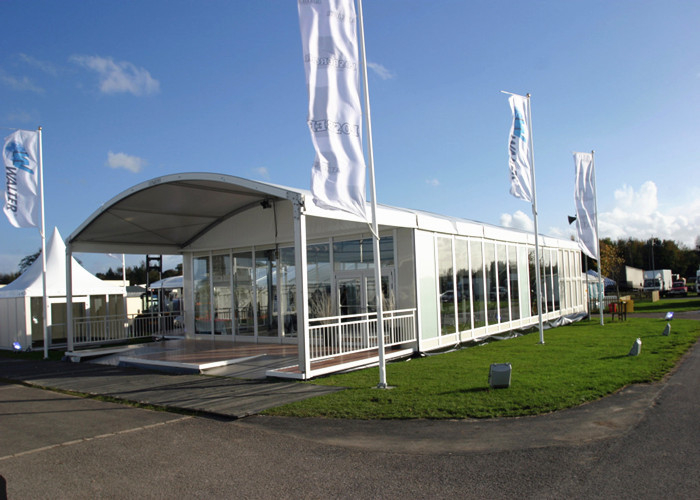 The Arcum marquee tent is usually used for wedding, ceremonies, outdoor event, party and so on.